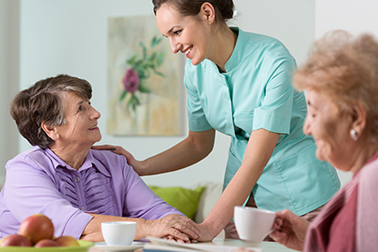 Assisted Living Communities are long-term senior care options that provide assisted senior living support services such as meals, medication management, bathing, dressing and transportation. Adult Day Services offers an adult respite day program that is designed to help reduce caregiver stress or burn out. 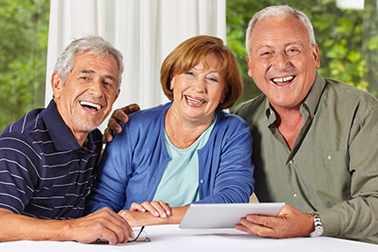 This unique program is for adults who wish to remain in the community and home environment but seek socialization. Transportation, bathing and overall health monitoring are just a few things that make this program so unique. Safety, security and health care are just a few reasons why seniors in our community are enjoying life at Nature’s Point Assisted Living. Restaurant style dining, controlled entry system and private club room for entertaining guests are just a few amenities included. Talahi is a modern and warm facility that offers transitional care,short-term rehabilitation and post-acute services. Our team of dedicated and compassionate staff are there when you need them – creating a family atmosphere and a community we are proud to call home.